Recently I've visited the Hochreinsee again, which I haven't done for quite a while now. However, on the first glance it wasn't that exciting there, just the usual species like Greylag Goose, Great Reed Warbler and Marsh Harrier. Fortunately, I spent a bit more time at this place, as after a few minutes a group of large gulls circled over the lake. 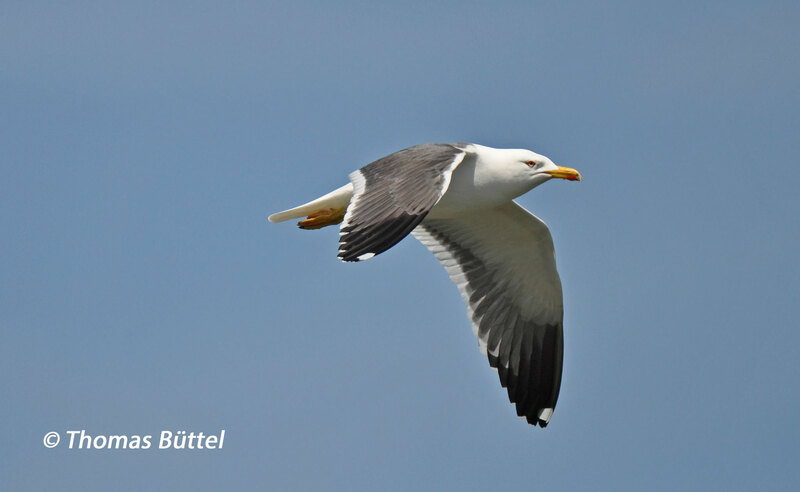 Of course, the most were certainly Yellow-legged Gulls, which is by far the most common species of these here in inland Germany. As it turned out a pair must have bred on the lake or close by, since there were also two juvenile individuals. 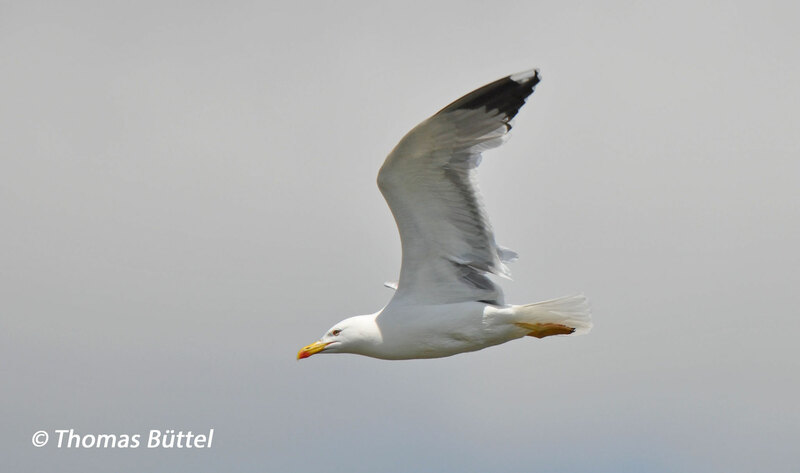 Yet a closer examination of the gulls produced furthermore a "weird" looking individual, which had most likely stayed the summer on the Hochreinsee last year as well. 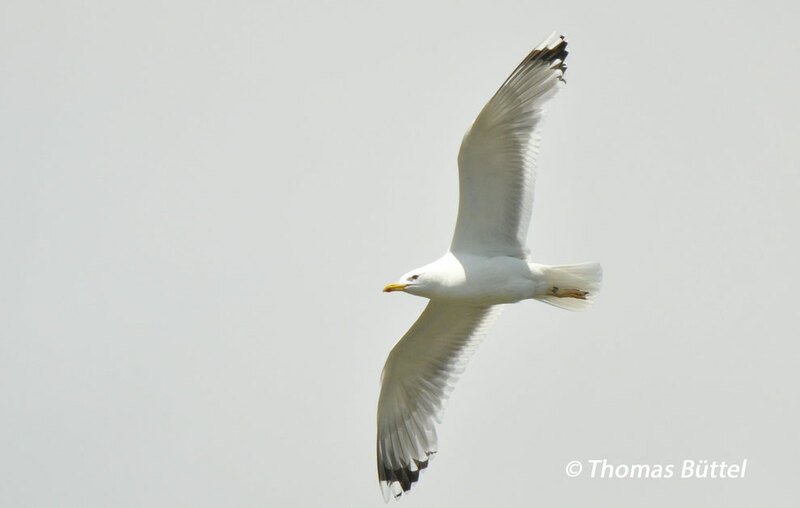 It shows many features of a Caspian Gull, e.g. the grey "tongues" on the primaries that cut deep in the blackish tip, the completely white p10, the lighter grey upperside etc. Despite of these rather clear features it's not so easy to pin down a "pure" Caspian Gull here, as there are quite a lot of integrades between Yellow-legged and Caspian Gulls, that come from the mixed colonies in Eastern Germany. 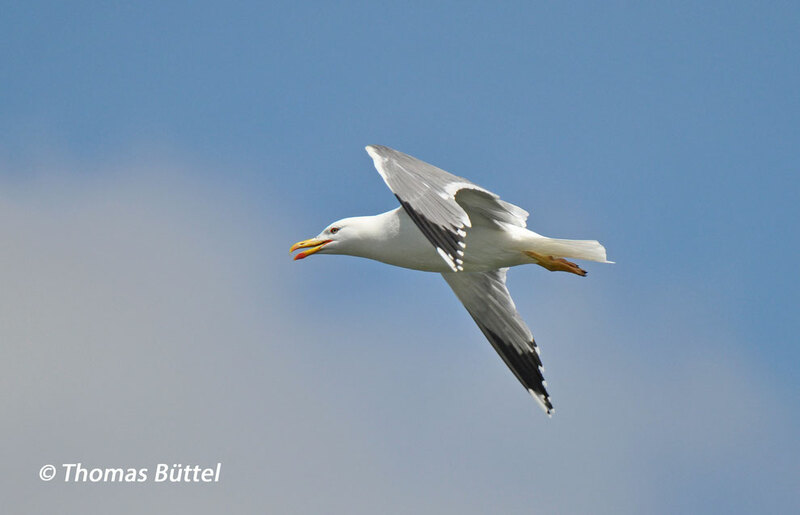 So I was told by a gull expert to use the term "gull with features of a Caspian Gull". Unfortunately, I have never been able to read its ring which would certainly help to enlighten this mystery. Nevertheless, the best bird of the day was definitely this Lesser Black-backed Gull that had apparently joined the other gulls. This species is a rather unusual guest so far in the inland and appears normally in the winter months. Therefore I was astonished to find one of these here in June. It was really stunning how obvious the differences in structure and colour were in comparison to the other two gull species.